PESHAWAR: Pakistan Tehreek-e-Insaf (PTI) leader Shaukat Yousafzai on Sunday said that he will challenge the Election Commission of Pakistan’s (ECP) decision to declare the results of PK-23 Shangla invalid. The PTI leader emerged victorious from the provincial seat, however, the election was declared void because only five per cent of the voters were women against the required number of at least 10 per cent according to the Election Act 2017 to validate the result. Speaking to private TV channel, Yousafzai said, “The ECP’s declaring null and void the election over low female voters’ turnout is beyond comprehension,” adding, that “the decision negates the truth and the matter will now be taken to a high court”. “No candidate contesting from the constituency had complained of the low turnout of female voters,” he said. Earlier, the ECP had annulled the election result of Khyber Pakhtunkhwa (KP) Assembly seat PK-23 Shangla and ordered a re-election due to the low turnout of women votes in the constituency. Over 3,505 of the total women voters exercised their right, which was only 5% of the total 69,827 votes polled there. 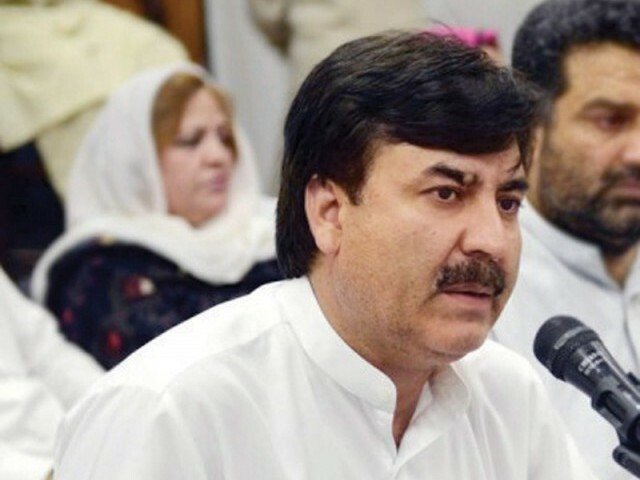 Pakistan Tehreek-e-Insaf (PTI) leader Shaukat Ali Yousafzai was declared a winner from PK-23 in the preliminary unofficial results of July 25 general election. Pakistan Muslim League-N (PML-N) nominee Muhammad Rishad Khan, who was the runners-up with a margin of fewer than 3,300 votes, had approached the ECP for re-election. Shaukat Ali was declared a winner with 17,399 votes whereas Muhammad Rishad was the runners-up with 15,533 votes. The ECP rejected the plea for re-polling on NA-10 Shangla on similar grounds pertaining to 10% turnout of women. The constituencies where women turnout of polled votes was less than 10% included NA- 39 Dera Ismail Khan, NA-42 Mohmand, NA-44 Khyber and NA -48 North Waziristan. In NA-39, where PTI candidate Muhammad Yaqoob Sheikh had defeat JUI-F chief Fazlur Rehman, the female voter turnout was the lowest with just 3 per cent participation from women.